RGR was formed in 1980 by the three founder partners. Their goal was to deliver excellent standards of service coupled with a customer focused approach and this ethos still forms the basis of the business today. The company specialises in the design, fabrication and supply of pressure vessels, pipework systems, skid package units and the installation of process plant and equipment. All work is carried out to exacting standards by a highly skilled workforce of time served professionals. RGR has built an enviable reputation based upon the in built levels of accuracy, quality, reliability and efficiency - this has inevitably resulted in RGR becoming THE preferred choice of discerning end users including many blue chips such as BP, ICI, and Coca-Cola to name but a few. The company has also undertaken contacts to The Governments of Britain and Japan. 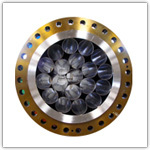 Manufacturing can be undertaken in a range of materials including Carbon Steels, Low Temperature, Chrome Moly, Stainless Steels, Aluminium, Duplex and Super Duplex Stainless Steel, 6MO, Inconel and many other special application metals. All products and services comply fully with industry quality standards and full documentation packages can be prepared upon completion to your specific requirements. RGR is located in the Central England area of the UK - this convenient location allows for the provision of service to customers throughout the country. Please visit the contact page and speak to our friendly and expert staff - they will be pleased to deal with any enquiry that you may have.